Cracked glass has been a staple in the glass industry for years. It’s elegance and versatility has passed the test of time and continues to be a popular choice for many homeowners. 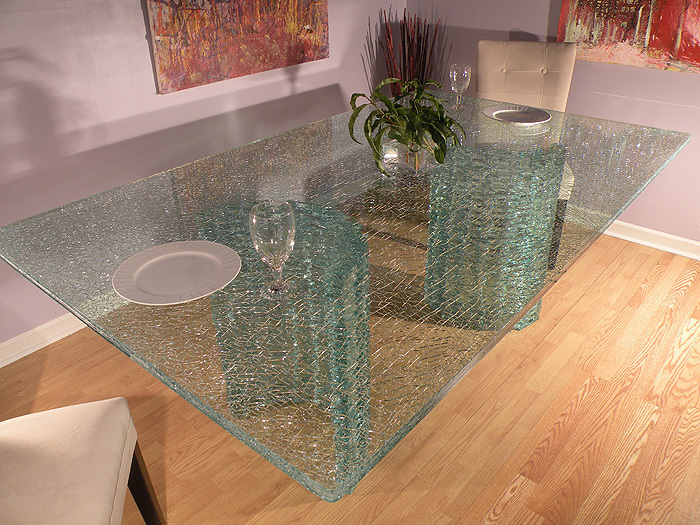 In recent years, cracked glass table tops have seen a resurgence, popping up in design centers and high-end furniture stores across the country. Once you see a kitchen or table top with Cracked Glass, Ice Glass, or shattered glass it’s easy to see why so many designers are turning to this gorgeous display. The glass is actually made my laminating three pieces of glass together. The middle piece is tempered in a high heat oven to maximize safety. 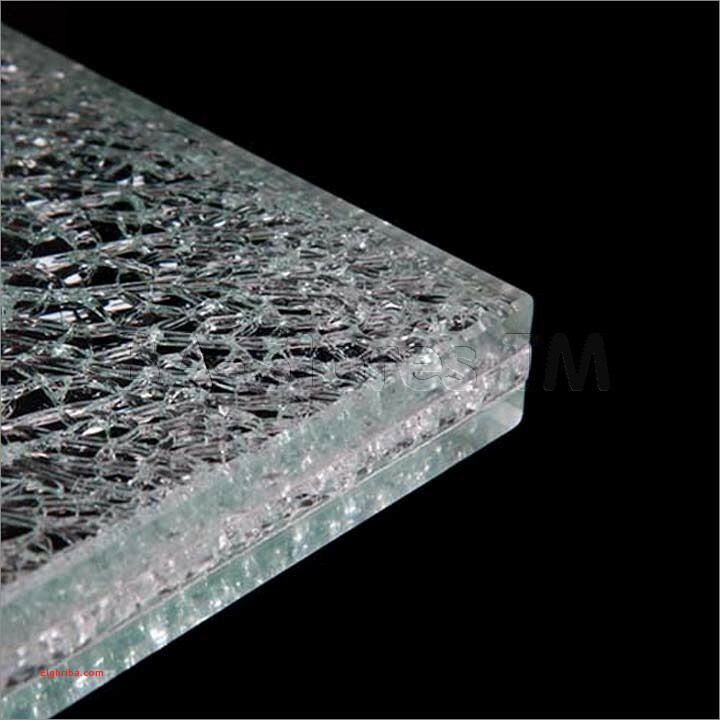 Tempered glass shatters when it breaks, limiting the risk of injury. 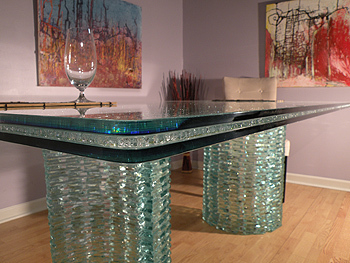 However, in Cracked Glass Table Tops, the tempered glass is what gives the glass it’s known quality. Once laminated together, a special tool is used to shatter the center piece. The laminate holds the pieces in place. creating a stunning piece of glass art that you can display anywhere in your home. Cracked Glass is available in two thicknesses, 5/8″ and 3/4″. The Glass Shoppe recommends the thicker 3/4″ piece for glass countertops. Below is a look at a recently installed glass countertop. Check out how a cracked glass table top transforms kitchens and breakfast nooks.